Jona’s Bargain Basement opens it’s doors for the first time and takes a look at the Swiss monster fighting card game with an interesting mechanic that is TSCHAK! The door creaks open, the light plinks into life and dank steps stretch out before you. Strange sounds are emanating from the room below, hushed tones and shuffling noises… wait, did you just hear a monster? Well yes, you did and if you can summon the courage to venture down there Jona will tell you all about them! Jona’s Bargain Basement is here to discuss games which may appeal to the budget conscious among us or those who just love a bargain. 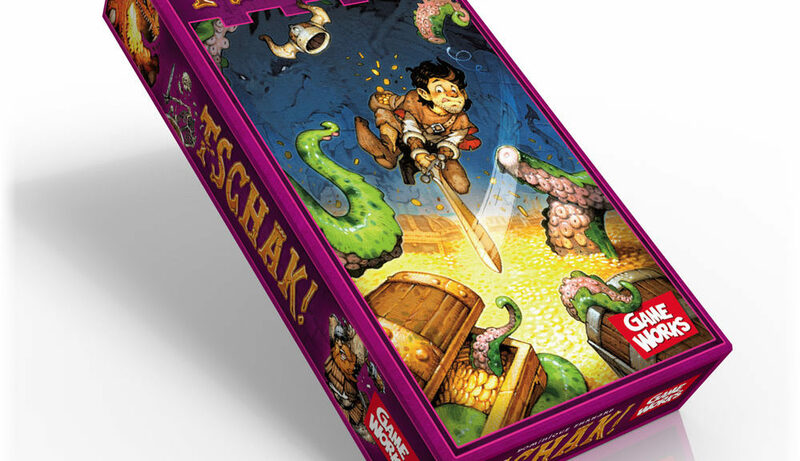 So pull up a crate, camping chair or over-turn a bucket and prepare to learn about TSCHAK!